Need a accident repair estimate? Home » Need an Estimate? Feel free to call in and see us to ensure you recieve the correct advice for a repair or paintwork to your vehicle. Often, customers call or enquire online to get a rough idea on prices but this can be difficult to gauge without seeing the vehicle ourselves in the metal. Our customers tend to spend anywhere between £50 upto £1,000 usually wanting to pay for the repair themselves rather than putting a claim through their insurance company as they may need to pay an excess charge and run the risk of higher insurance premiums in the future. To discuss a bodyshop estimate, please complete the enquiry form below or contact us on 01332 205502 with your vehicle details and requirements. 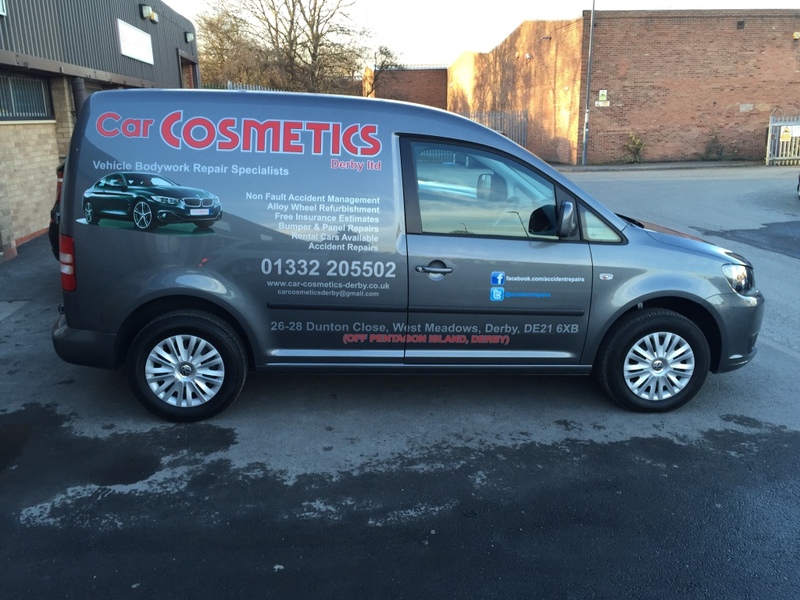 Or email your enquiry with photo's to carcosmeticsderby@gmail.com for a speedy response. If you live or work near us we could maybe pop in to see your vehicle and give a more accurate price. On booking your vehicle for repair we may require a small deposit or payment for larger parts to be ordered in advance however most services offered are not required to be paid until collection of your newly repaired car or van.